Mobility and Control. Stability and Strength. Exercise in a safe environment with Health Professional’s you can trust. Clinical Equipment at SquareOne is designed and delivered by Physiotherapists specifically for you and your individual requirements. Whether you are recovering from an injury, trying to prevent one or looking to improve your health, fitness or wellbeing our Physios have the expertise to guide you every step of the way. Regardless of whether you are recovering from spinal surgery, are looking for a great way to exercise during your pregnancy or trying to build better stability to improve your running, your exercise program is tailored, appropriately progressed and re-assessed to ensure you reach your goals. Our innovative programs will teach your body and spine how to move. The SquareOne team use a combination of Physio rehab and Pilates informed exercises and equipment (reformer, trapeze table, wunda chair, ladder barrel etc) combined with the latest knowledge and research on exercise and rehabilitation to manage pain, restore function, prevent injury and improve your performance. Clinical Equipment is ideal if you are recovering from injury or require an individualised program. For those wanting to simply to get better results. 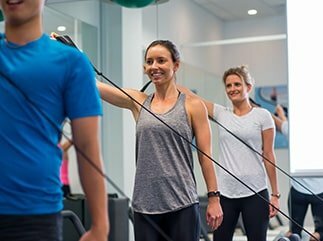 Your Physio will modify and progress your program regularly to provide challenging and interesting sessions that are tailored to maximise your results. Allows you to achieve your health and fitness goals quicker and with closer supervision. 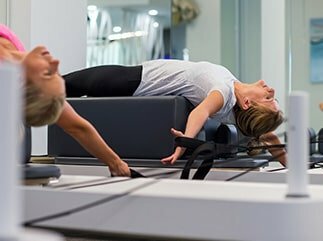 Designed for those without injury wanting to take their Pilates further using our reformers to increase the demands on the body. Key focus is on improving strength, tone, controlled movement and overall conditioning. Leave each class feeling like you’ve had a full body workout and are confident you are on a journey to a stronger and fitter you. Currently injured or ongoing back pain? Then this class is not yet for you. These classes are run as a small group Pilates class where everyone is doing the same workout. They are not rebatable with your private health fund. 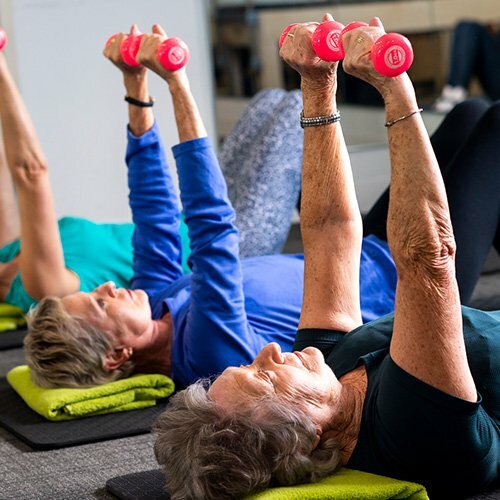 Classes are designed to improve core stability, abdominal strength, gluteal strength, balance and posture and are altered to accommodate limitations and injuries. Designed for Mums 0-6 months post-natal to get your body back in shape as quick as possible. Run by a Women’s Health Physiotherapist with specialised training in pelvic floor and exercise in post-natal women. Classes focus on the demands of being a new Mum as well as focusing on your body after pregnancy and birth. Include a variety of exercises to target core and pelvic floor strength, back, arm and leg strength and abdominal separation. Babies are of course welcome! Pregnancy based exercise at SquareOne is instructed by a Physiotherapist so you can be confident the exercise is safe, evidence-based and tailored specifically to your personal needs. If you are a runner, dancer or have never exercised – we have the right program for you. Individually targets differing body areas throughout your pregnancy and addresses the changing demands placed on your body. Focus on achieving optimal function of your pelvic floor, your postural muscles, your spine and glutes, and prepare your body for the demands of having a baby. Our small groups under the supervision of a Physiotherapist means your program can be modified as your body changes throughout each trimester so you can keep exercising right up until you give birth.